This eight note set of Freenotes is ideal for playing many well known folk melodies, such as Auld Lang Syne and other Scottish-Irish songs. 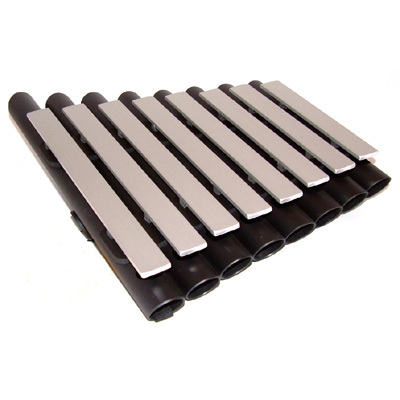 The Wing employs a five-tone pentatonic scale, so all notes are in complete harmony. There are no wrong notes! No difficult techniques are required to produce their lovely tones — just a tap on the middle of the bar produces pure tones of consistent quality that sustain for over six seconds creating layers of soothing sound— players and listeners alike will be soothed and delighted by their pure tones.